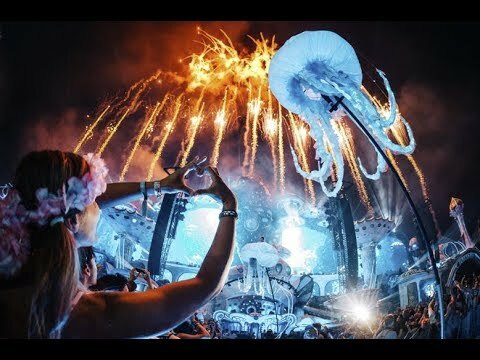 People of Tomorrow, the Tomorrowland 2015 Official Aftermovie is out now. Relive the most beautiful moments of the first chapter in The Secret Kingdom of Melodia… Tracklist: 1. Dimitri Vegas and Like Mike featuring Ne-Yo – Higher Place 2. Dimitri Vegas and Like Mike featuring Ne-Yo – Higher Place ( Afrojack Tomorrowland Remix ) 3. Skrillex and Diplo - "Where Are Ü Now" with Justin Bieber ( Dimitri Vegas & Like Mike vs W&W Remix ) 4. Lost Frequencies feat. Janieck Devy – Reality 5. Yves V vs Dimitri Vangelis & Wyman - Daylight 6. Armin van Buuren feat. Mr Probz – Another You 7. Dimitri Vegas & Like Mike vs W&W - ID 8. Symphony Of Unity – Café Del Mar by Energy 52 9. ID – Other Level 10. Major Lazer & DJ Snake - Lean On (feat. MØ) ( Dimitri Vegas & Like Mike Remix ) 11. Dimitri Vegas & Like Mike vs Steve Aoki & Ummet Ozcan - ID iTunes/Apple Music/Official Playlist: http://lnk.to/Tomorrowland2015 - - - Tomorrowland Presents "This Was Tomorrow" The motion picture of a magnificent year WORLD PREMIERE November 26th 2015 Sportpaleis Antwerp Starring 'The Symphony of Unity' by the National Orchestra of Belgium Tickets now available: www.tomorrowland.com GLOBAL RELEASE December 1st 2015 TOMORROWLAND.COM - - - Join the Global Family... Join the People Of Tomorrow.